If you love books, particularly YA and more specifically Cassandra Clare, then you’re not going to want to miss out on your chance to win this Shadowhunters bundle. 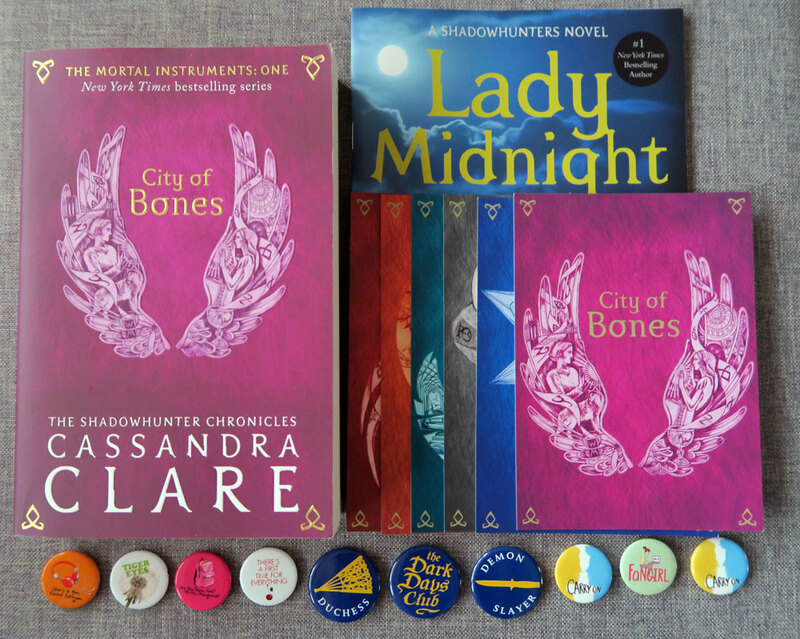 It’s been a while since I held a giveaway, and I’ve been meaning to run a competition for the new edition of City of Bones, the postcards for all of the new covers, a sample of Lady Midnight and some cute bookish badges for AGES. I think I talked about it way back in my Walker Fiction Fest book haul back in June of last year… whoopsie. But I’m finally doing it, which means you’ve finally got the chance of winning everything you can see in the photo. The badges include Rainbow Rowell, Judy Bloom and the new Dark Days Club by Alison Goodman, and they’re all super-cute. Entering is easy-peasy lemon-squeezy. Just use the Gleam widget you’ll find by following the link below. You’ve got more than one entry, so use them all to get more chances at winning! The competition will end on 10 April at midnight, and is open only to UK residents. I got so excited. So, so excited. And then I read the last line. 🙁 I live in the US.